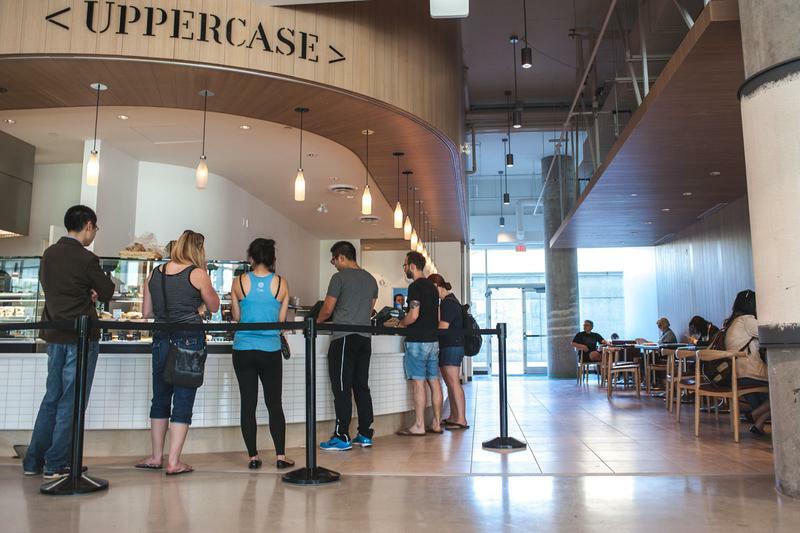 A landmark on campus for notoriously good baked goods and to-die-for cookies. Their usual selection is still readily offered, but some festive classics have recently appeared too. Try a shortbread cookie or a pumpkin treat next time to spice things up. The shortbread is a personal recommendation as it's always fresh from the oven and is the perfect size. Mix one of these with a delicious eggnog latte and it's almost as if your transported away from the stress of school momentarily. They dominate the holiday-ready cafes on campus. Even though it may seem outrageous to pay upwards of $5 for a little latte any other time of the year, for some reason those bright red cups get you feeling like you deserve the daily splurge. Not only will the right cup complete your aesthetic outfit during your library study sessions, Starbucks also offers the most holiday treats so far on campus. They have cranberry sweet bars, little snowman shortbread cookies and of course the cake pops covered in snowy sugar. If you can make it through waiting in their line, you definitely deserve one of these too. They offer gifts, Christmas decorations and various types of chocolates and pre-packaged desserts that nowhere else on campus offers. Who would have thought? With the decor guiding you along to the numerous tables of chocolate, students can relive their childhood with little advent calendars or score on those special Santa wrapped chocolates to de-stress during finals. Loafe offers the best donuts and cozy atmosphere on campus. Though not directly in the busy and crowded Nest, its mere steps away and even has a warm fire if students are lucky enough to grab seats. At this time of year, one can’t go wrong with a little donut and coffee before class. Holiday donuts are soon to appear too, not that anyone is too picky. Though they may not all be Martha Stewart certified, these treats are well deserved and can help bring some homey comfort to students during finals season. Seasons eating!